Today’s gadget is an iPod travel dock with a few distinctive features. The Lenco iPD-4500 zips up to look like a sturdy travel bag; though at 250 x 180 x 80mm it is on the bulky side. It is not really a bag, but unzips to form an iPod dock in the base with speakers in the top. Although it looks as if there are four speaker drivers it seems only the lower pair are active. The top panel is ported for better bass extension. The unit has a built-in rechargeable NiMH battery which claims up to 8 hours of playback from a full charge. A mains adaptor is supplied. If mains power is on, then when seated in the dock, the iPod or iPhone charges, but not when on battery. Along with the iPod dock there is a standard mini-jack input for non-Apple devices or smaller iPods. Controls on the device itself are limited to on-off and volume, but a compartment on the base unit opens to reveal a tiny remote, secured in a clip, with on-off, play-pause, track forward and back, and volume. Lenco also supplies a short mini-jack cable. I would have preferred a longer cable, since the short one will be awkward if you want to connect, say, a laptop for playing a movie; but of course you can use your own cable. So how does it sound? Contrary to what I had expected from the advertised “bass boost”, this is not a particularly bass-heavy or boomy unit but has a pleasantly balanced sound. It is important to set your expectations. No, the iPD-4500 does not sound as good as docks geared more for home use, that are heavier, larger and more expensive. Compare it to the tiny speaker in an iPhone though, and it is a massive improvement. I rate it one of the better-sounding travel docks I have tried. It is worth experimenting with position too; you can get a weightier sound by positioning the dock near a wall or in a corner. As with any audio device, I recommend hearing it before purchase if possible. According to the rather uninformative specifications there are 2 x 3W speakers, though without qualification 3W does not mean much. What you really want to know is how loud it goes; and the answer is loud enough for enjoying music in a hotel room or a small tent; but not loud enough if you really want to rock out or drown out significant background noise. It has to be said, this is not a beautiful device. A colleague said it looks like a toasted sandwich maker; and I see her point. It does not bother me because I care more about the convenience and the sound, but it is a factor. I also noticed that the hinged panel which gives access to the front compartment tends to catch when you try to close it so needs to be operated with care. On the plus side, when zipped up the iPD-4500 does feel securely protected from knocks and bumps, and I would be more confident about subjecting this to the rough and tumble of travel luggage than with most portable speakers. A flaw is that the mains adaptor does not fit in the pouch, but has to be carried separately. Further, if you were camping rather than in a hotel, it might not be easy to recharge. A car adaptor would be worth considering. The iPD-4500 is on offer for around £75.00 which is at the upper end of the price range for a portable iPod dock. Then again, it sounds good, includes a rechargeable battery and a remote, and has a particularly robust integrated case. It still strikes me as a premium price; and bear in mind that the Logitech Rechargeable Speaker S315i, for example, claims up to 20 hours playback, though with no remote, and plays somewhat louder. The S315i is nominally more expensive, but seems widely discounted to below the price of the iPD-4500. What might swing it is if you particularly like the sound quality, or if the strong packaging suits your travelling lifestyle. Windows Phone 8 will run Windows 8, with Silverlight centre stage? More information on Windows 8 is leaking out now; and it gives some clues about how Microsoft intends to make sense of its two device platforms, Windows tablets and Windows Phone. Microsoft held back from making its Windows Phone 7 OS available on tablets, which is why most of the numerous tablets being pushed out to compete with Apple run Google Android, and a few of them Windows 7 with its excessive power requirements and a user interface poorly designed for touch control. Now the strong rumour is that Windows 8 supports two user interfaces, one that is tile-based like Windows Phone 7, and another that is designed for PCs. In other words, rather than continuing with the Windows Phone 7 OS which is built on Windows CE, Microsoft will build a new version of the Windows Phone 7 UI on top of full Windows. My further assumption is that Silverlight apps will still run on the new OS, providing continuity with Windows Phone 7 which uses Silverlight or XNA, both based on .NET, for its application platform. Windows 8 will also include a new app model codenamed Jupiter that will target a new Windows Marketplace app store. The app store will provide access to new, Silverlight based "immersive" applications that are deployed as AppX packages (.appx). The Windows and Office teams are betting very heavily on this new app type, according to my source, and development has already begun using a beta version of Visual Studio 2012. These apps can be written in C#, Visual Basic, and even C++. We do know that Silverlight 5 supports full platform invoke of native code, a feature which tends to support the idea that it is becoming a key runtime for Windows. Let me speculate a little further. Imagine you are Adobe, for example, which has said it will deliver the Flash runtime for Windows Phone. Although it competes with Silverlight to some extent, Microsoft needs to tick the Flash box for Windows Phone. But why would Adobe want to invest in Flash for Windows CE, when this OS is not going to be used for Windows Phone 8 and it will have to write new code? I will not be surprised if we hear that Flash is now not coming until Windows Phone 8. Even within Microsoft itself, I would guess that investment is focused on the next generation rather than the one that is destined to be short-lived. One partner that is no doubt close to Microsoft’s plans is Nokia. If the above is correct, then Nokia is buying into the Windows OS, not the Windows Phone OS. Will Nokia wait for Windows Phone 8 before launching devices on the platform? I have no idea – and delay will be costly – but I imagine its main plans will be focused on Windows Phone 8 and the possibility of tablet as well as smartphone devices. Silverlight is safe as a development platform, but only for Windows. See also Silverlight the new Windows runtime, HTML 5 the new Silverlight? The Windows Phone 7 OS will be short-lived but the new UI should be a natural progression from what we have now, and apps should still run, so Microsoft can position Windows Phone 8 to users as a new version of Windows Phone rather than a change of direction. Microsoft will not have a coherent mobile and tablet platform until Windows 8 ships sometime in 2012. Google, Apple, RIM, HP, all have plenty of time to establish their competing platforms. I met with Aptana CEO and co-founder Jeff Haynie at the Mobile World Congress in Barcelona last month. It’s a .NET SDK, we would have to build a translation into Silverlight. That’s how we do it for iOS, we translate code into Objective C. We don’t think it’s technically insurmountable. I asked about the Appcelerator Freemium business model. Titanium is open source and you can download and use the SDK commercially for free. Haynie says it works well because companies can do a full evaluation and get to understand the value of the software fully before deciding whether to purchase. However he emphasised that larger companies, other than non-profits, are expected to take out a paid subscription. Can I use Titanium for a commercial application? Yes. You can use Titanium in both a personal and commercial application regardless of what your license or price is. The Titanium SDK is licensed under the Apache Public License (version 2). Obviously we have a competitive platform from Adobe AIR. But we want developers to have the best choice, the best tools possible. So competitively we need to build the best product. If AIR is a better product and people want to use Aptana to build AIR apps, then fine. That means we need to continue to work to make a better runtime for the desktop. We’re with Adobe on trying to figure out where we go from here … we have to spend a lot of money to support that, so we’re making sure that we’ve got Adobe’s support behind that. I am not sure what Adobe gains from Aptana support, given that it has its own Eclipse-based IDE called Flash Builder, so I would not bet on there being significant updates to the current AIR 1.5 plug-in. Finally, Haynie emphasised what to me are familiar themes in talking about the direction for Titanium and Aptana. Cross-platform visual design tools; designer and developer workflow; and integration in a single IDE of rich client and cloud back-end. This integration has long struck me as one of the best things about Microsoft’s Visual Studio, so it is interesting to see the theme reappear in a cross-platform context. What I enjoyed about the interview is the way Haynie communicates the huge change and volatility that has arrived within the software development world, thanks to the impact of cloud and mobile. Times of change mean new opportunities and new products. Titanium has plenty of competition, but if Appcelerator is able to deliver a robust, cloud to device, cross-platform toolkit, then it will have a bright future. I have posted a transcript of most of the interview. More germs on an iPhone than on a toilet seat? Proporta’s screen protectors kill the other kind of bugs. In independent laboratory tests, the E. coli population on an untreated screen protector soared from 200,000 to 13 million in 24 hours. The unique SteriTouch® coating on Proporta Antimicrobial Screen Protectors not only prevent this unbridled growth, but eradicates the E. coli completely. The idea is that touch screens get, well, touched a lot; possibly even by more than one person. Touching spreads germs, so if you want to be safe maybe Proporta’s new “anti-bacterial germ resistant advanced screen protector with steritouch for iPad2” is just the thing for you. Bug-zapping screen protectors are also available for iPhone4, iPod touch, HTC Desire HD, Blackberry Torch, and Samsung Galaxy S2. the average mobile has 25,127 germs per square inch, whilst the average toilet seat has just 49. While quoting this sounds like a great way of annoying an Apple fanperson, the scientist in me would like a bit more information please. What about other things in our life that are touched frequently, door handles for example? How does the risk from using an “untreated” mobile device compare with that from, say, shaking hands with someone? Or travelling on the London Underground in the rush hour? I am all in favour of a cleaner, healthier world; though I also recall theories that too much hygiene can be counter-productive since the body’s built-in defences need some enemies to munch on in order to operate at full efficiency. It makes some kind of intuitive sense. Still, if you would like your shiny new Apple iPad2 to be more germ-free than a toilet seat, it looks like an Antimicrobial Screen Protector is the answer. There is an analysis by Rob Rachwald over on the Imperva Data Security Blog of how an RTF document can carry a virus, in this case a trojan executable. RTF (RIch Text Format) is generally considered safer than the Microsoft Office .DOC format since it cannot include macros; but the vulnerability in this case is in the software that parses the RTF when it is opened in Microsoft Office on Windows or Mac – though in this case the actual payload is Windows-only so would not normally affect Mac users. Unfortunately this code may run when previewing a document in Outlook, which normally embeds Word, so it is potentially rather damaging. Rachwald traces how the embedded trojan evades anti-virus, installs itself into the Windows system32 folder, and creates a remote shell application. It does appear that the vulnerability was patched in November 2010. Still, it is interesting that the insecure code survived in Microsoft Office at least back to Office XP Server Pack 3 in 2004 and probably earlier. I mention it partly because the analysis is a good read, and partly to highlight the fact that even RTF documents may not be safe. Amazon has introduced its Cloud Drive and Cloud Player. Cloud Drive offers 5GB of online storage free, with further storage available for a fee. For example, an additional 15GB costs $20 per year, and you can have a full 1000GB for $1000 per year. where the list is of countries in Europe including the UK. The Cloud Drive looks nicely implemented except that there is no provision as far as I can tell for sharing. It is an odd omission, unless Amazon sees Cloud Drive as mainly for storing personal music and media purchases and wishes to discourage breach of copyright, so I am guessing this is the case. This does make rivals like Microsoft’s SkyDrive more interesting for general cloud storage though, particularly as you get 25GB free with SkyDrive. I tried the Android player briefly. It worked well with MP3s already on my device, but I have not yet attempted to sign into the Cloud Drive. There is no player for Apple iOS and when I visited the site in mobile Safari even the web player did not appear, though this may be another UK/USA issue. Naturally Amazon is encouraging use of Cloud Drive and Cloud Player with its MP3 store. The idea is that you no longer need bother to download MP3 files. Just store them in Cloud Drive, and play them wherever you are, though download remains an option either on purchase or later from the Cloud Drive. A few observations. Cloud Drive is a welcome feature, though it is nothing new and crippled by lack of sharing capability. Other applications built on Amazon S3 cloud storage do include the ability to share files. Cloud Player enhances the Amazon MP3 store and I suppose is worth having, though I am sceptical about this model of music purchase. Once you have moved the focus of music storage from local drives to the cloud, and playback from the local network to cloud streaming, then a subscription model that offers everything available on the service makes more sense. This is what Spotify does successfully, though I appreciate that not all music is available on Spotify, and that some countries including the USA cannot use it. I wonder what happens when you store an MP3 purchase in Cloud Drive? Does Amazon really store a separate copy for every user, or does it simply link to its master copy so that it appears to be in your personal space? The latter would save storage space; and the idea shows that technically it might not be difficult for Amazon to transition from a model based on individual track purchase to one based on all-you-can-hear subscription. Agreeing this with the music labels and making financial sense of such a deal is another matter; but I hope that this new Cloud Player is a step in that direction. Announced at Mobile World Congress last month, BlueVia is Telefonica’s effort to attract developers to its app platform. Telefonica is the largest phone operator in Spain and also owns O2 in the UK, and has various other operations around the world. In this case though, “Platform” is not just the devices connected to Telefonica networks, but also services exposed to apps via newly published APIs. BlueVia has APIs for sending and receiving SMS messages, delivering mobile ads, and obtaining information about the current user through a User Context API. Things like sending a text from an app are nothing new, but a difference is that BlueVia will pay the developer a cut from the revenue generated. Along with ads, the idea is that an app can generate a revenue stream, rather than being just a one-off purchase. The news today is that Microsoft is backing BlueVia with a toolset and marketing to Windows platform developers. There has been an SDK for Microsoft .NET for some time, but today Microsoft and BlueVia have delivered a new SDK for .NET which includes both server and client side support for the BlueVia APIs. On the server, there are templates for Windows Azure and for BlueVia ASP.NET MVC2 and WCF (Windows Communication Foundation) applications. On the client side, there are Silverlight controls such as a DialPad, an Advertising control, and a text to speech control. Microsoft also provides hooks to Windows Live Services in the hope that you will integrate these with your BlueVia applications. The snag with developing your app with BlueVia APIs is that it will only work for Telefonica customers, thus restricting your market or forcing you to code to different APIs for other operators. “If you want to expose an API in the way that Telefonica is doing, you need to be a Telefonica customer in order to be able to use it,” says Jose Valles, Head of BlueVia at Telefonica. If you further restrict your app’s market by targeting only Windows Phone, it gets small indeed. Valles says there is hope for improvement. “We are working with the industry and with WAC in order to standardise this API,” says, assuring me that the reaction is “very positive”. WAC is the Wholesale Applications Community, a cross-industry forum for tackling fragmentation. Do not count on it though; it strikes me as unlikely that a cross-industry group would accept BlueVia’s APIs as-is. The answer: BlueVia has defined around 20 groups of compatible devices, and you can only upload your app for one at a time. 20 uploads is better than hundreds, but still demonstrates the effort involved in trying to attain any kind of broad reach through this channel. BlueVia is in beta, but Valles says this will change “in the next few weeks”. That said, it is already up and running and has 600 developers signed up. “It is already commercial, whoever wants to come in just needs to email and we will send it to him,” he says. The idea of the operator sharing its ongoing revenue with app developers is a good one, but be prepared to work hard to make it a reality. Small businesses and the cloud: 60% have no plans to adopt? Microsoft has released a few details from a global survey of small businesses, defined as employing up to 250 employees, and cloud computing. The research finds that 39 percent of SMBs expect to be paying for one or more cloud services within three years, an increase of 34 percent from the current 29 percent. It also finds that the number of cloud services SMBs pay for will nearly double in most countries over the next three years. I think this means that today 71% of small businesses do not pay for any cloud services, but that this is expected to drop to 61% in the next three years. that may mean that very small businesses mainly use free services, rather than none at all. In my experience, many small businesses do not have clearly articulated IT strategies, so I am sceptical about this kind of survey. One day the server breaks down and at that point the business decides whether to get a new server or buy into something like Microsoft BPOS or Office 365 instead. A business actually has to be pretty determined to embrace cloud computing in a comprehensive way. There are often a number of business-critical applications that presume a Windows server on the premises, sometimes in old versions or custom-written in Visual Basic or Access. It is easier to maintain that environment, but perhaps to start using cloud-based email, CRM or even document storage alongside it. I still find it interesting that Microsoft’s research points to larger businesses within this sector being more open to cloud computing than the smallest ones. The new Small Business Server 2011 range makes the opposite assumption, that smaller businesses (with Essentials) will be cloud-based but larger ones (with Standard) will remain on-premise. I still cannot make sense of this, and it seems to me that the company is simply unwilling to be radical with its main Small Business Server offering. It is a missed opportunity. That said, clearly there is a lot of caution out there If, if I am right in my reading of the figures, that 61% have no plans to pay for anything cloud-based over the next 3 years. Embarcadero has announced the AppWave Store, a forthcoming app store for Windows which uses application virtualization to avoid the hassles and risks of the usual Windows install process. The idea is that purchasing apps for Windows will be as simple as installing an app on a mobile using the Apple app store or Android Market. 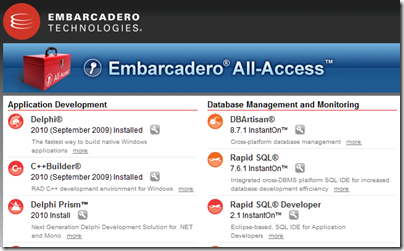 The underlying technology was developed to simplify deployment of Embarcadero’s tools. The All-Access subscription includes a tool box application that lets you run tools using “InstantOn”, which means no installation, just click and run. I have used this for a while now and it works well. There is of course a pause while the app downloads. This is not thin client technology where the app actually runs remotely. It is installed on your local machine, but isolated so there are no dependencies or conflicts. Once downloaded, you just launch the application. No other setup, other than software agreement and registration prompt. The download is cached, so you can launch next time without delay, and it works offline too. 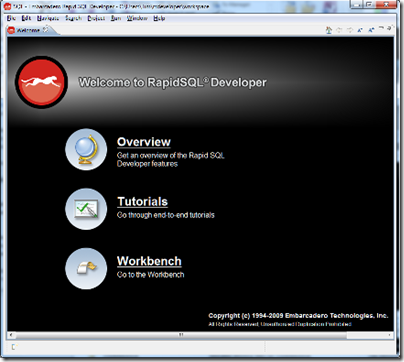 AppWave is a rebranded version of InstantOn, and is also available for internal deployment of Embarcadero tools. The AppWave store takes this technology and applies to a store for the general public. Developers will pay $99 per year (though the fee is waived if you sign up now) and get AppWave Studio, which lets you convert software to run under AppWave. The conversion process is called “mastering” and only takes a few hours, according to the FAQ [pdf]. Windows XP, Vista and 7 are supported clients, availability will be worldwide at launch, and Embarcadero takes 30% of your sale price. No launch date has been announced. I guess the first big issue is whether developers will feel that the 30% fee is good value bearing in mind that there are many other ways to sell and deploy software. Second, there are other app stores out there or coming, not least Microsoft’s own which is likely to be part of Windows 8. Will AppWave compete effectively? 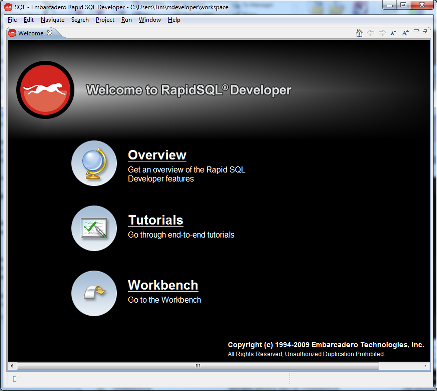 Third, does Embarcadero have what it takes to market AppWave and make a destination for Windows users looking for apps? App virtualization is a neat trick though, and could save significant support costs as well as being appealing for customers. Deploying apps using runtimes like Silverlight or Adobe AIR can be equally seamless, but apps have to be written specifically for those runtimes, whereas AppWave works with apps written for the full Windows API. 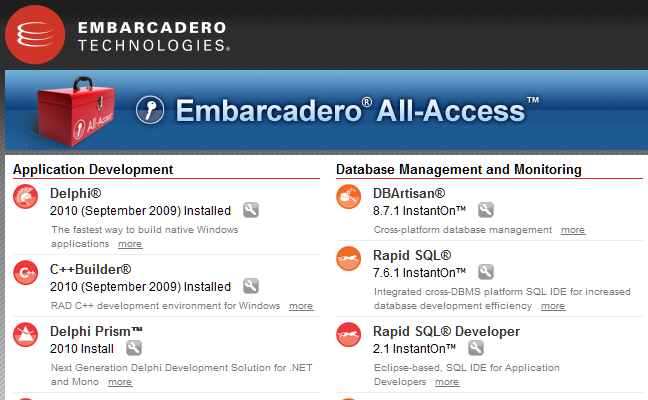 It is surprising that Embarcadero is not also marketing the AppWave technology for developers for general purpose use. Possibly this is coming; or maybe the company will try to keep it as an exclusive benefit for the AppWave store. There are alternatives, including Microsoft App-V and VMWare ThinApp. See also Marco Cantu’s post Understanding Embarcadero AppWave, which is what alerted me to the AppWave store.